It was a Commodore Pet. I turned on the system, saw the lime flickering text on the screen, and was hooked for life. Like an addict, I pursued the knowledge of computers and computing with a passion that has sometimes bordered on insanity. All-nighters, caffeine filled weekends and shopping online for documentation older than I am have all led me to where I am today. Yes, the journey started with a stand-alone Commodore computer (which I still argue was the best line of computers in personal computing history), but it moved well beyond the scope of personal computing. In the last twenty years, I have worked continuously in the technology sector. This time window has arguably introduced the most rapid growth and change within the industry. 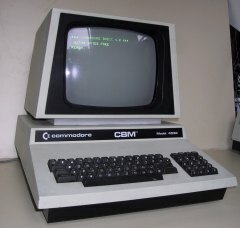 While using Commodore machines at home early on (from the Pet-CBM through to an Amiga 500), I have supported PCs since the very early 1990s and computer networks and systems since July 1995. From this background, I found my way into the wireless LAN (WLAN) market and have been enthralled by it now for more than a decade. I am excited to bring my experience and drive to the CWNP program and we have exciting things planned for the future. One major new project is the 802.11 commentary series. We will be creating free videos teaching through the 802.11 standard. The series will be based on the 802.11-2012 update, but will also include any new amendments that come along in the future. The purpose of the series is to provide commentary on the standard document from start to finish. It is also to help you all become more comfortable reading and understanding “standard language” and standards documents. Along the way, we will also explore some IETF standards and Wi-Fi Alliance certifications. While the series will not focus directly on the various CWNP exam objectives per se, it will indeed cover much of the knowledge needed for the exams. Of course, it’s not intended to be a replacement for the official courses, video courses and study guides that are designed specifically for the exams and provide the selected knowledge needed for them. In addition to these free videos, we will continue to communicate through the blog, webinars and forums here at the CWNP.com Web site. We will begin to revisit some of the WLAN fundamentals and continue to address the latest and greatest technologies in the 802.11 market. Until then, guard your frames.